Move over, kids! 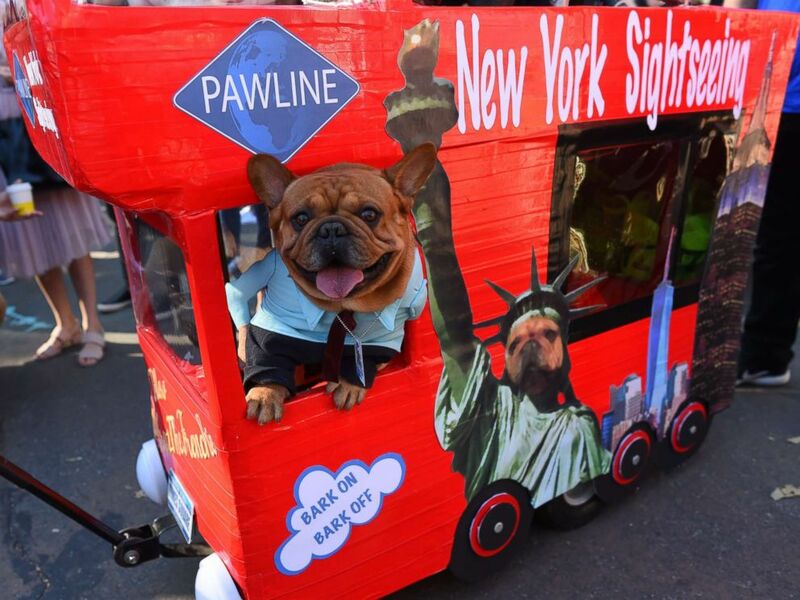 The dogs had their day to show off their Halloween costumes at the 27th annual Tompkins Square Halloween Dog Parade in New York City. A dog in costume is seen during the 27th Annual Tompkins Square Halloween Dog Parade in Tompkins Square Park in New York, Oct. 21, 2017. 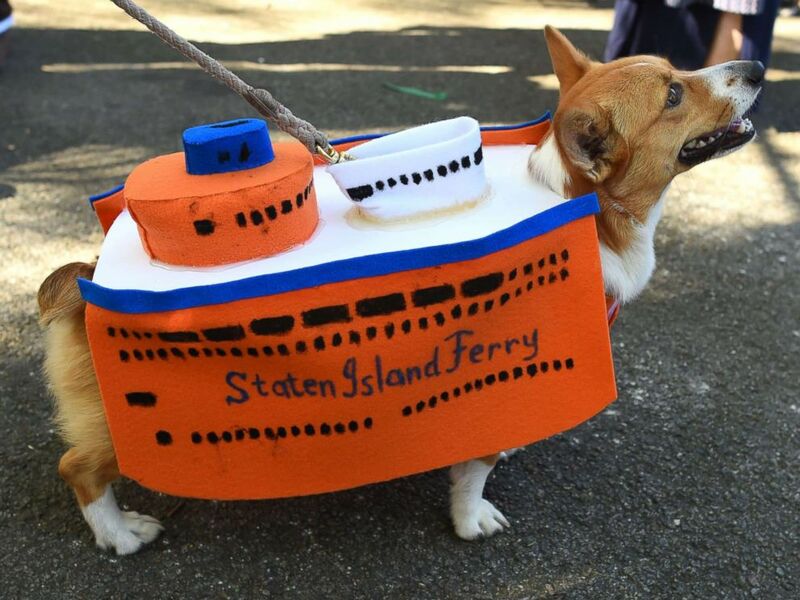 Nearly 10,000 dog lovers came out to Tompkins Square Park today, home to the city's first official dog run, to see pooches dressed up as New York landmarks, including the Statue of Liberty, the red sightseeing buses, and the Staten Island Ferry. 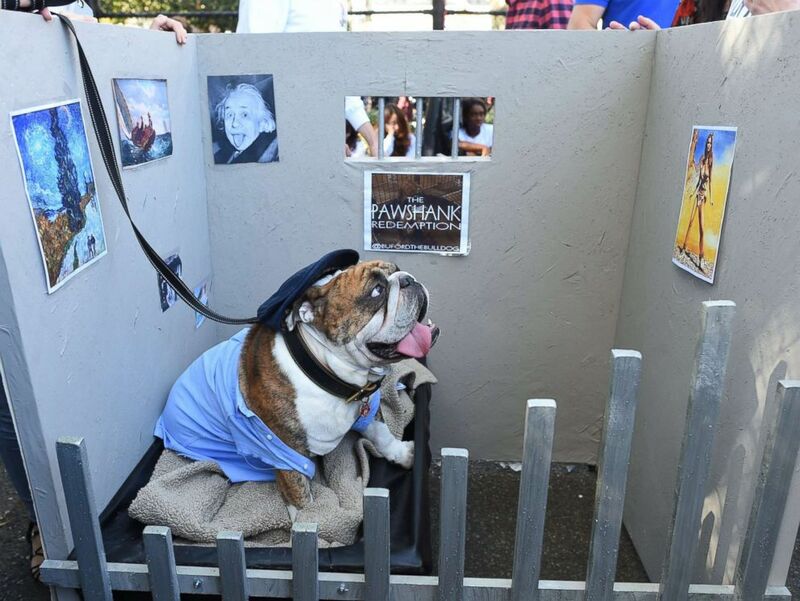 Other dogs wore costumes without a New York theme, such as dressing up as a lion, a kissing booth and even one dog who remained in his cell, with a sign that read, "Pawshank Redemption," paying homage to the hit 1994 film, "Shawshank Redemption." 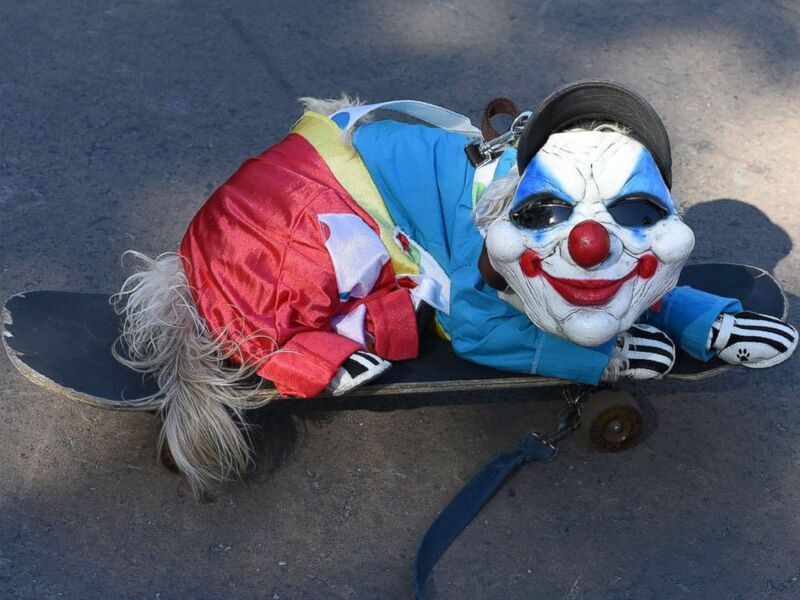 A dog dressed in costume is seen during the 27th Annual Tompkins Square Halloween Dog Parade in Tompkins Square Park in New York, Oct. 21, 2017. 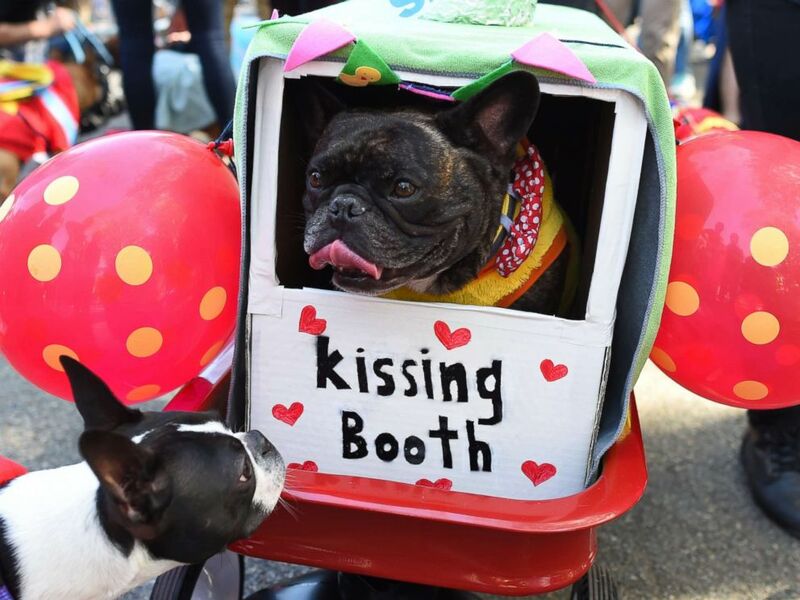 The dogs and their Halloween-loving owners were there to compete "for thousands of dollars in prizes," according to the parade's website. 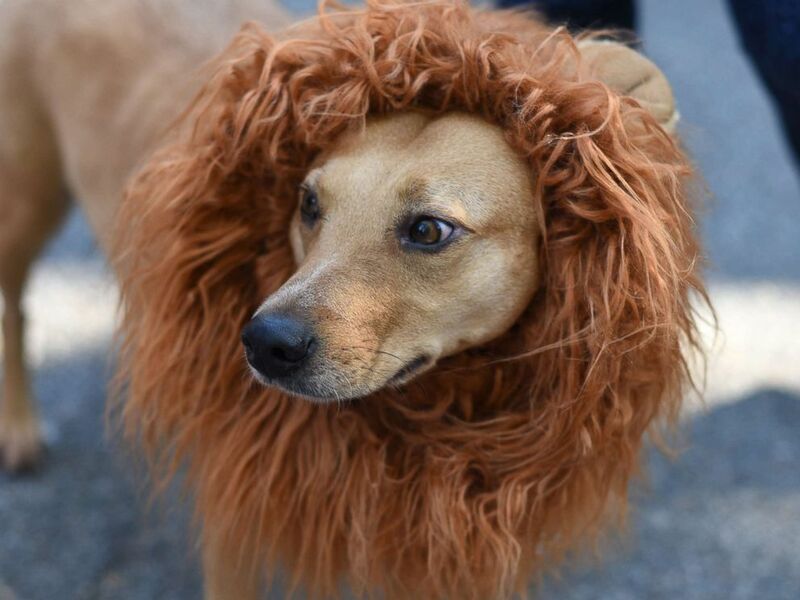 Dog trainer Garrett Rosso, who created the Halloween parade, told the podcast Animal Instinct ahead of the parade that they plan to "give out at least 10 prizes." Along with awarding prizes, this year's parade collected items to donate for hurricane relief, according to the parade's Facebook page. A dog dressed as President Donald Trump is seen during the 27th Annual Tompkins Square Halloween Dog Parade in Tompkins Square Park in New York, Oct. 21, 2017. 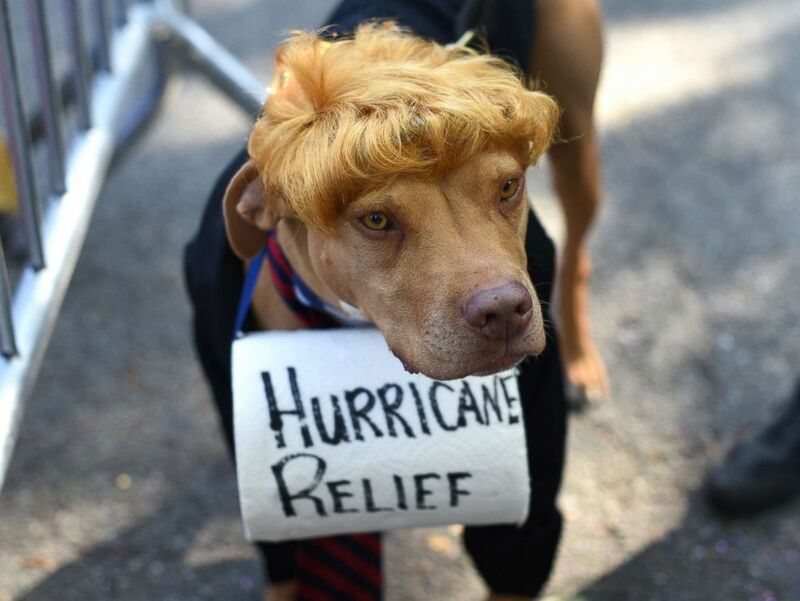 And one dog even dressed up as a donation, with a roll of toilet paper around his neck with the words "hurricane relief" on them.